Plug-ins and hybrid models are bound to be present at the upcoming Geneva Motor Show, so it&apos;s no surprise that Land Rover will bring a greener model out for the show. The Range_e plug-in diesel hybrid will be placed on display in addition to the four new models it plans to show off. 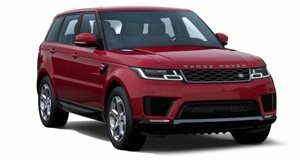 Power for the Range Rover Sport comes from a 3.0-liter turbodiesel V6 paired with a ZF eight-speed automatic transmission, as well as an electric motor. The Range_e&apos;s driving range is claimed to be nearly 700 miles, out of which 20 miles will be on electric power alone. The Range_e is also set to be the first capable four-wheel drive from Land Rover to achieve 89g of CO2. Its top speed is also set around 120 mph, which isn&apos;t too bad considering the type of vehicle it is.